The M-STEP tests are new to our students (introduced last year), and in most schools will be administered completely online. In addition, they go beyond the content and the kind of thinking skills most of us remember from school. The SAT, while still a paper and pencil test, is also a completely new test and, for the first time, given to all of Michigan’s 11th graders. So why the changes? What do these tests look like? And what does it mean for our kids? The group experienced some sample questions from these tests much like students will, online with computers, with actual test questions. No scores were shared, nor individual answers, but there was a great deal of reaction and discussion, as documented in the School News Network article Community Members Sample New Standardized Tests. Participants were surprised at the rigor of the questions and had a hard time guessing the grade level of the questions. Some expressed concern about the tests measuring only certain kinds of learning and not others, or being heavily dependent on reading ability. A mom said she now saw why so much preparation for the test was necessary. If your school would like to host a similar event, talk to your administrator or curriculum director. Kent ISD staff have packaged up all the parts needed to host an event (including extensive facilitator notes, the sample test, PowerPoint and additional support materials) and are offering them free of charge. 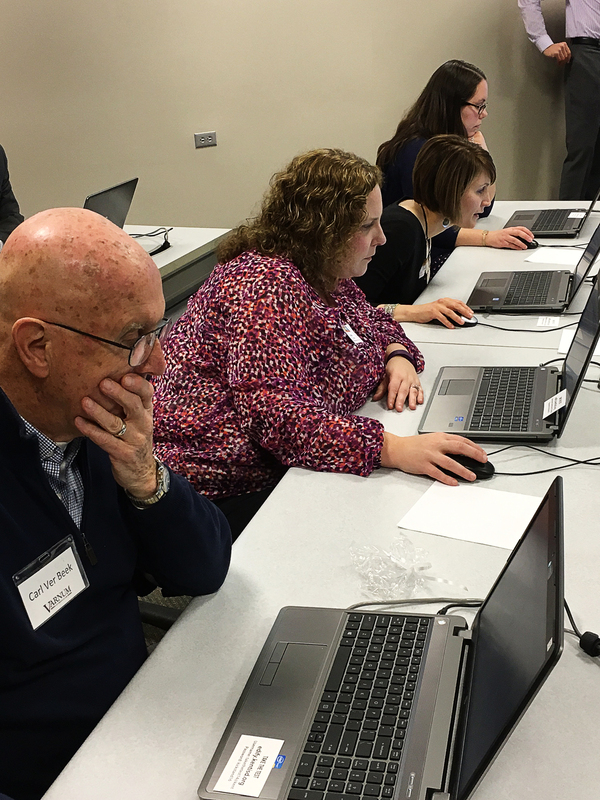 This post was written by Allison Kaufman, Director of Communications & Marketing at Kent ISD and edited by Amanda Walma Professional Learning Coordinator at Kent ISD.